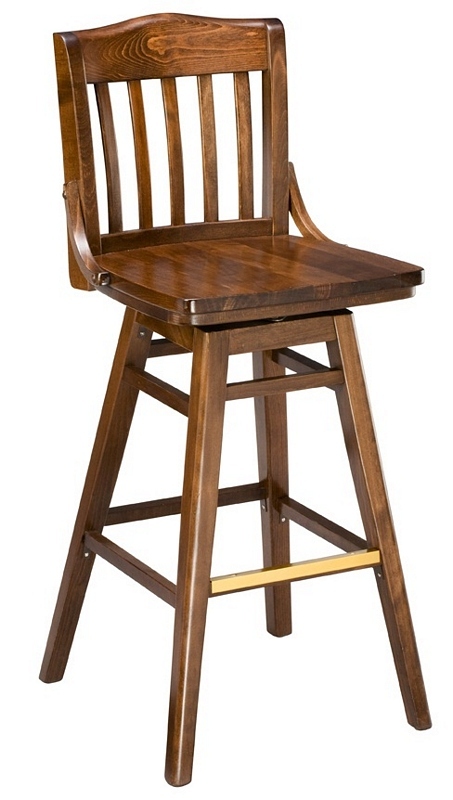 The Acadia bar stool combines a classic schoolhouse back with a swivel frame for a versatile seating solution for your bar, restaurant, or cafe. Available with either a wood or upholstered seat in multiple wood finishes, at 24", 26" or 30" height. Dimensions: 16" x 19 " x 41"